An entire month of savings to show our appreciation! 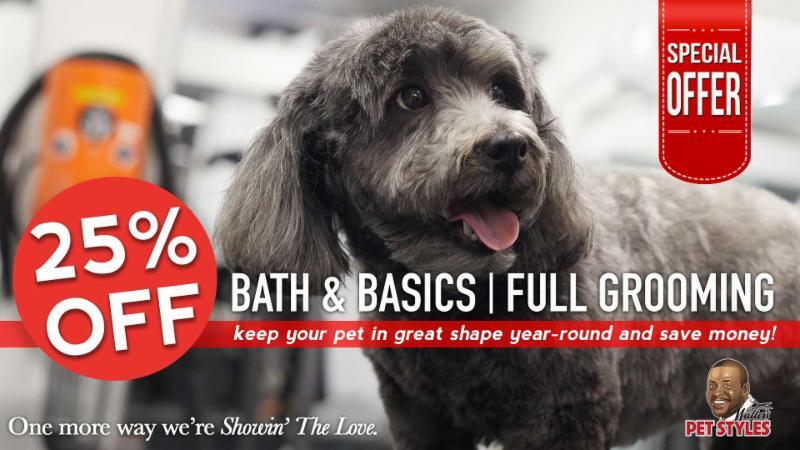 Enjoy 10% OFF any Full Groom booked for a February date. booked for a February date. Simply the best deal ever! Enjoy 25% OFF twelve months of grooming. Save hundreds of dollars per year! Many benefits! Save Today by Completing The Form Below! I'd like to take advantage of the following deals! I have read and fully understand the above deal offers. Unless otherwise pre-arranged, I understand all payments will be charged to the card on file at the time of this submission. The Showin' the Love Sale pricing is valid during February only and pre-payment secures the savings! Any purchases not exclusively redeemable for the month of February only will expire one year from the date of purchase. This deal is exclusive to select clients only and should not be shared with others. Our concierge has received your request and will confirm your purchase! Where applicable, we will reach out to book your appointment soon!